El Salvador was named in 1524 by it's Spanish conqueror, Pedro de Alvardo, after the Holy Saviour. It's people are chiefly of mixed Spanish and Indian blood and speak Spanish. With the neighbouring Spanish-American colonies El Salvador freed itself from Spanish rule in 1821, and with the states of Guatemala, Costa Rica, Honduras and Nicaragua formed the Central American Federation. The Federation was dissolved in 1839 when El Salvador became an independent republic. 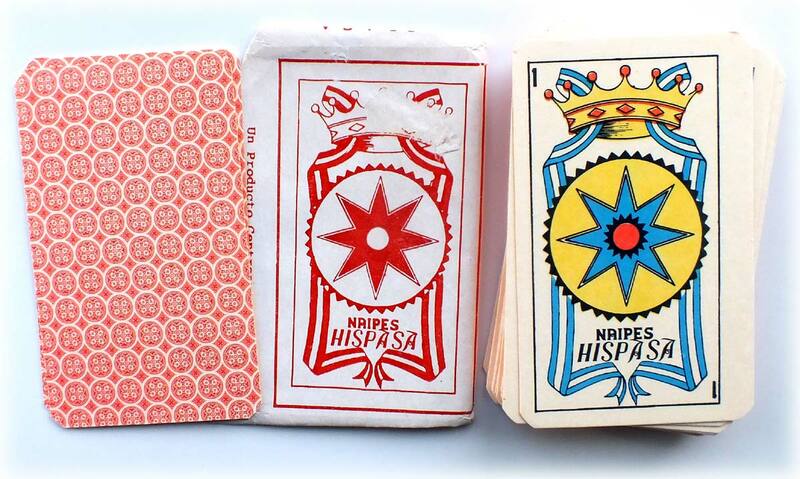 Above: Spanish playing cards exported to new Spanish colonies from c.1520 onwards. Cards like these would have been in use in El Salvador for the first 300 years or so after the first Spanish settlers arrived. "El problema es que no se hacen muchas barajas aqui. Practicamente las unicas que se encuentran son las importadas porque son las que prefieren la gente de aqui. Son de mejor calidad, plastificadas etc. 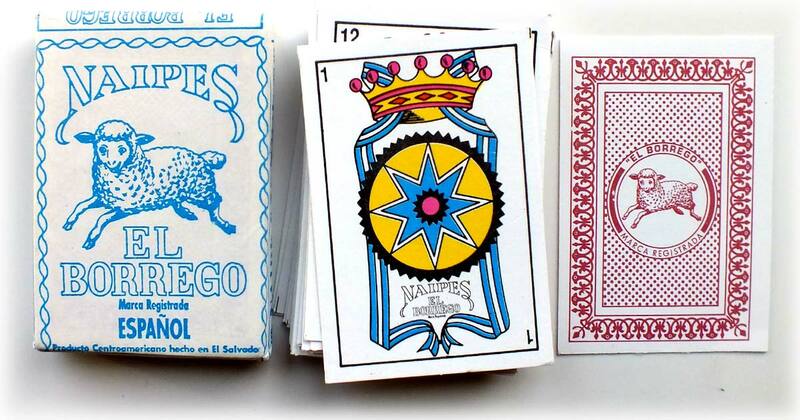 Como las de aqui son muy inferiores en este aspecto pues la gente no las compran y son escasas y solo se encuentra en alguna que otra tiendecita por ahi en el centro"
Cards were first imported to Central America from Spain, although local production has always existed. 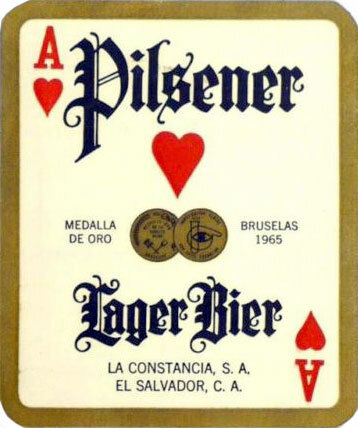 Today El Salvador has some local production of playing cards, which are often of rudimentary quality. Copies of Fournier's 'Castilian' design, as well as redrawings of the 19th century Cádiz pattern, can be found. 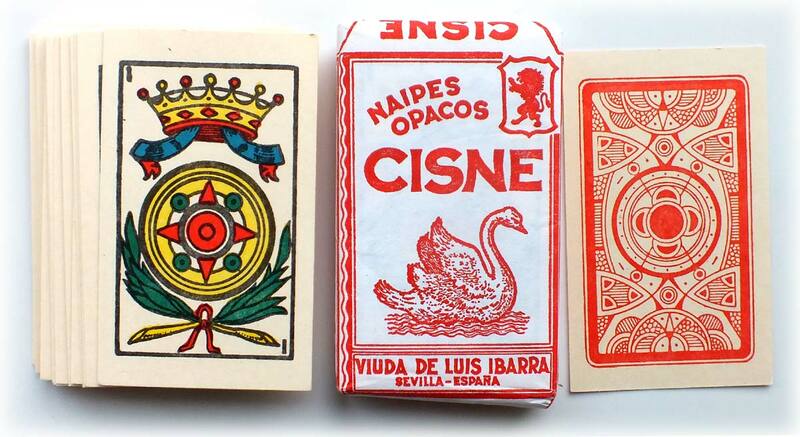 Brands include Naipes HISPASA, Naipes El BORREGO and Naipes CISNE.